Before you start the grill, know your sausage. While they all taste great, there are differences in how Usinger’s products should be prepared. Usinger Cooked Brat – The white brat. Bavarian style made with finely chopped Pork and Veal. These are the type served all over Germany. When grilled they actually swell and get plumper as they are cooked. Grilling gives them a crispy outer skin and smooth flavorful center. 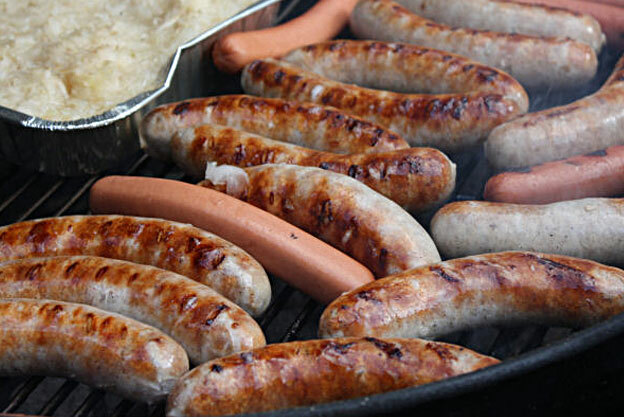 Usinger Fresh Brat – My method for grilling a fresh brat is “low and slow”. It’s the opposite of grilling a steak, which you sear right away to seal in the juices and then cook them at a lower temperature. With a fresh bratwurst it has to acclimate to the heat slowly. Too much heat too quickly can cause the brat to swell so much that it will break the casing, which is what you are really trying to avoid. If the casing breaks, all of the juices and spices wind up in your grill. Usinger Natural Casing Beef Frankfurters – These are meaty, juicy and have more than a hint of fresh garlic. Grilling enhances the “pop” when you bite into the natural casing. Usinger Smoked Andouille Sausage – This is a great sausage with lots of complex flavors. Spicy, smoky and tangy all at once. Additional tips – Personally, I’m not a fan of parboiling. It can change the texture of the casing and dilute the flavor of a perfectly spiced sausage. If you’re short on time, the pre-cooked are quick and don’t require the care of fresh meat. If you like Kraut, try our Festival style sauerkraut. It’s pre-cooked also and may be the only condiment you need. Real smoke means real flavor. 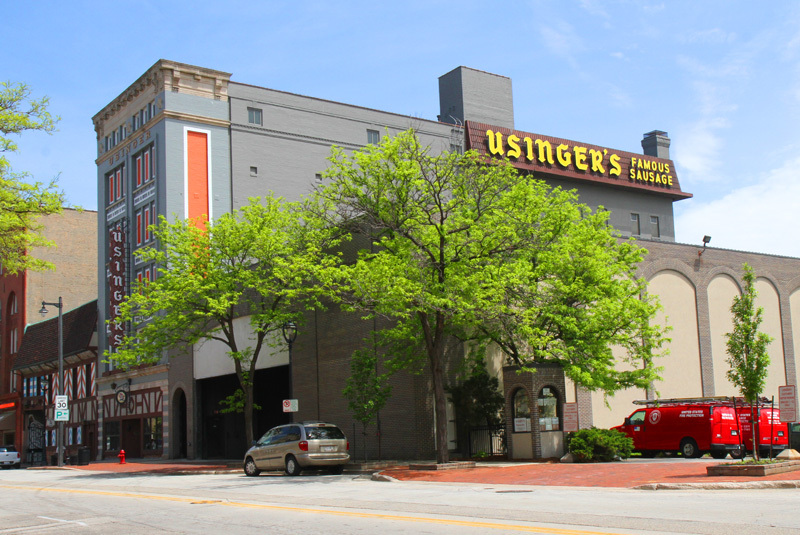 At Usinger’s, our sausage is smoked in authentic two story brick smokehouses, just like it was back in 1880. Usinger’s doesn’t use artificial smoke flavor injections or spray tan like coatings on casings. We prefer natural hardwoods like Hickory, Oak and Ash. Our smoke products spend hours over smoldering sawdust and logs, more like cooking over a campfire. It takes time and some acquired technique to make sausage this way, which is why a lot of companies don’t do it. When you do it right however, the taste is unmatched. 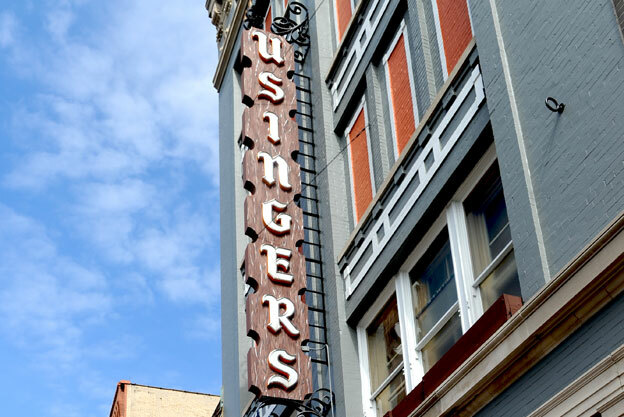 That’s the taste we’re looking for at Usinger’s.